The Fire Station set comes in a big box which contains the fire station, a slide to fix on the side of the fire station, a fire engine and trailer (which magnetically stick together), two firefighter figures, one fire flame, one chainsaw, two hose reels and two track pieces so you can easily attach the fire station to other BRIO playsets. 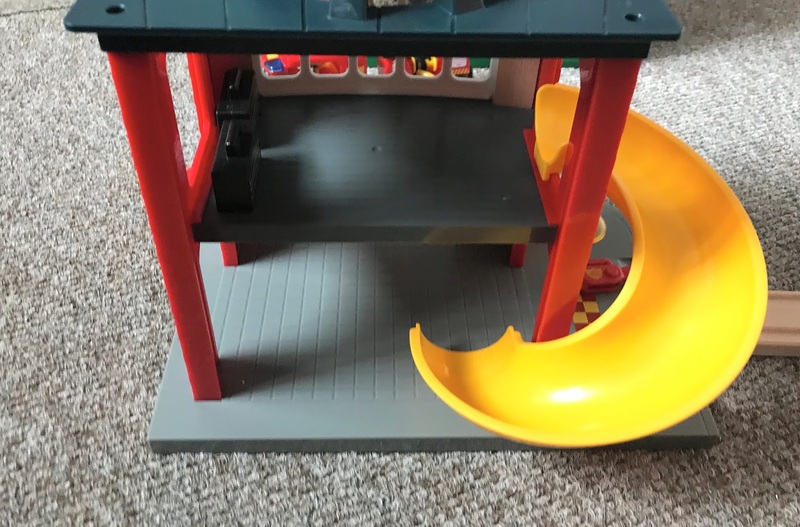 This playset is mainly plastic, with metal vehicles however it feels really sturdy and well made and I am sure it will last for many years. 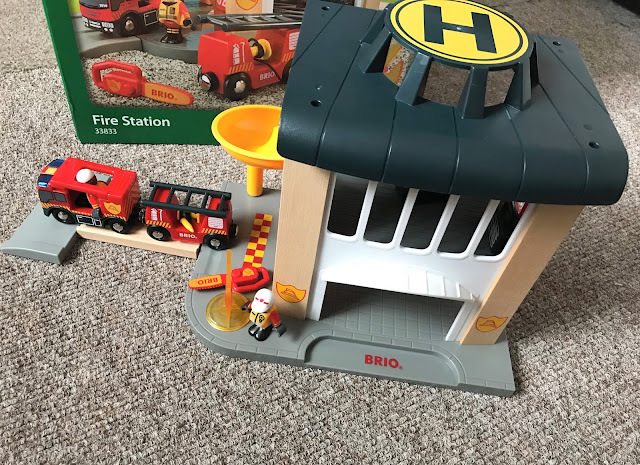 Jacob has really enjoyed playing with the BRIO Fire Station, he likes that the playset is open so he can easily reach in and play with the firefighters. He really likes the slide on the side of the fire station playset and is always pushing the firefighters down it to race to an emergency. 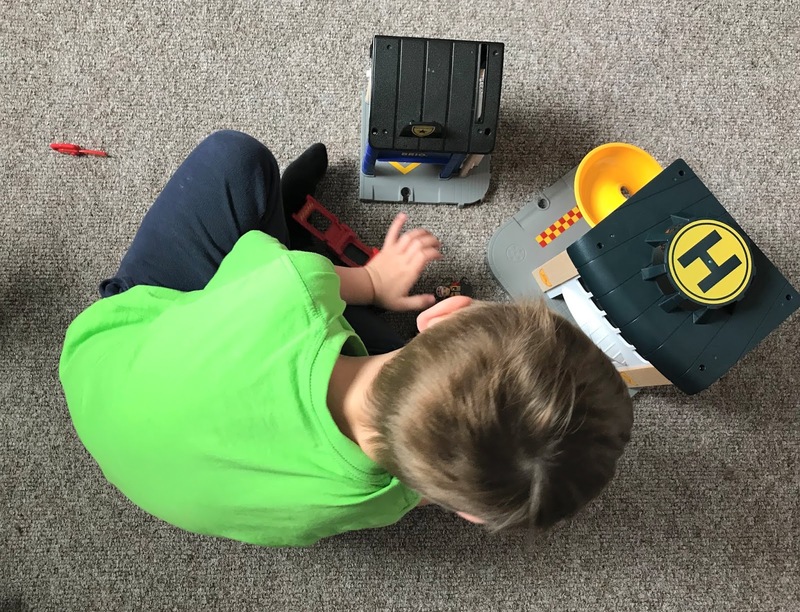 The little fire trucks are also a big hit as he likes that they have flashing lights and a siren and that they magnetically stick together and easily fit the firefighter figures in them. The fire engine also has a hose reel which he has fun pretending to put out fires. I really liked that you could use this firs station as a stand-alone playset or you could easily attach it to other BRIO products to make a bigger playset. Jacob has been adding it to his tracks and having fun playing with his fire engine on the railway track. He has also been joining it up with police station to make an emergency services playset. I really like that this set, along with other BRIO sets encourages imaginative and role play and encourages him to play on his own, something he rarely does as he always plays with his sister. He really enjoys building tracks and little play scenarios and I am sure he will be adding more sets to his collection in the future. 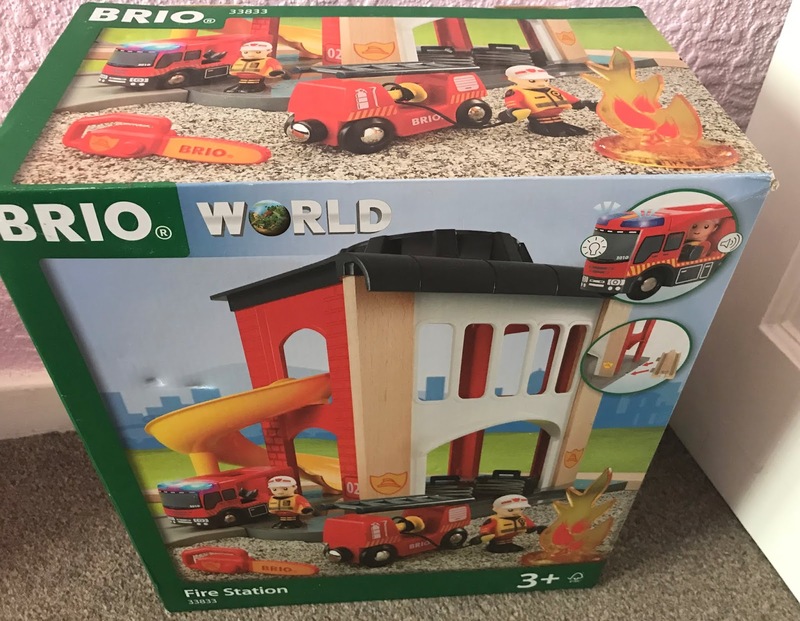 The BRIO Fire Station playset has an RRP of £64.99 so it is not cheap but it would make a great birthday or Christmas gift idea for a BRIO fan. It is available to buy now from leading toy retailers. Disclosure we were sent this toy for the purpose of this review, however, all opinions are my own.